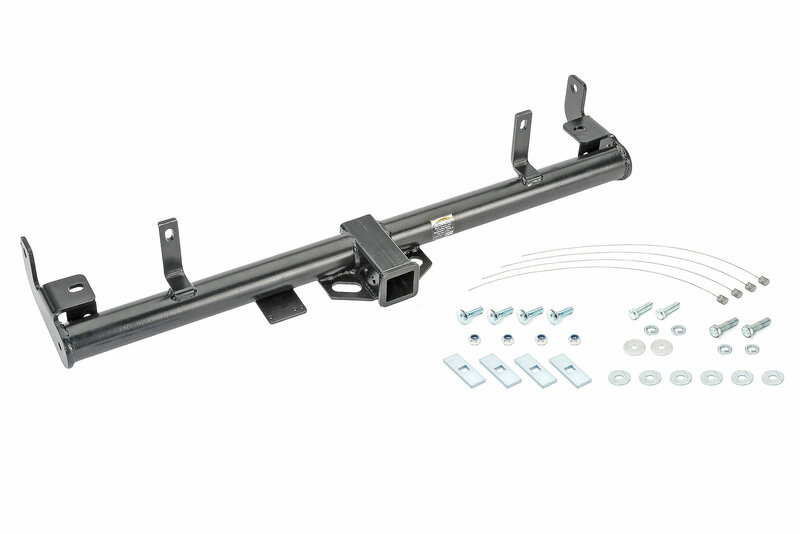 Premium Class II receiver hitch for TJ is Essential for having fun and getting things done. 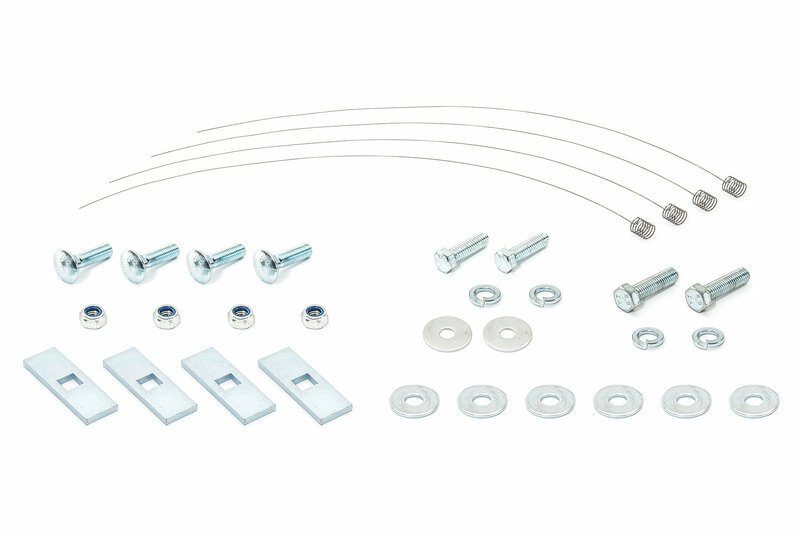 Simple bolt-on installation takes little time to install with no vehicle modifications. We dare you to compare our Exclusive hitch to others with its premium design and construction without a premium price. 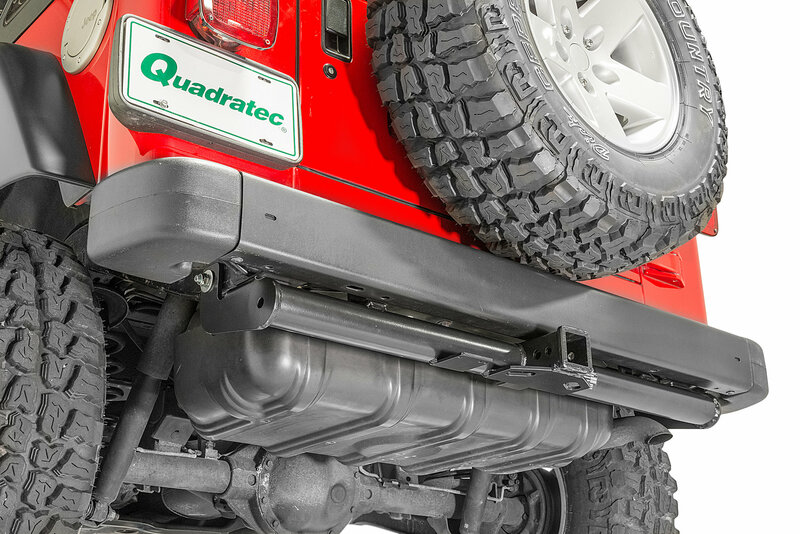 Features the maximum allowed 2000-lb tow rating with a 200-lb tongue weight rating for Wrangler and a 3500-lb tow rating with a 350-lb tongue weight rating for Wrangler Unlimited applications. Our Premium Class II receiver hitch for TJ is Essential for having fun and getting things done. Simple bolt-on installation takes little time to install with no vehicle modifications. We dare you to compare our Exclusive hitch to others with its premium design and construction without a premium price. Features the maximum allowed 2000-lb tow rating with a 200-lb tongue weight rating for Wrangler and a 3500-lb tow rating with a 350-lb tongue weight rating for Wrangler Unlimited applications. 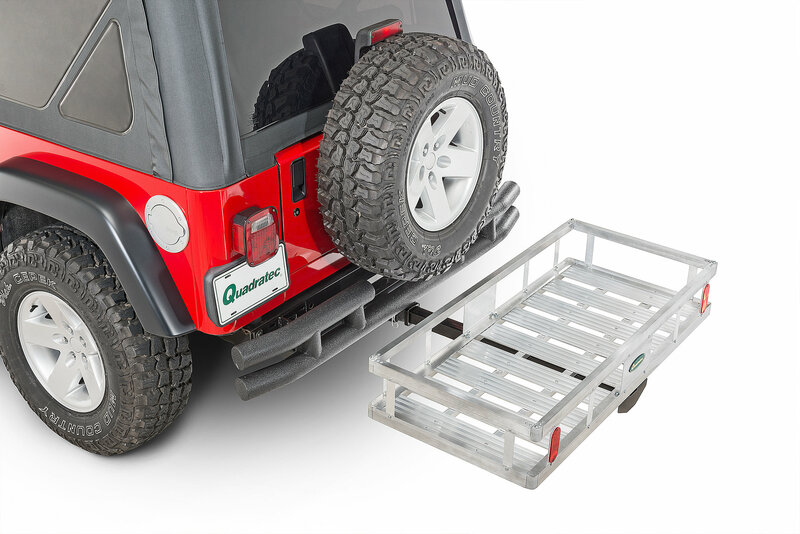 Our 2" receiver provides the connection to basic accessories such as bike racks, receiver racks, recovery hooks, winching and more. 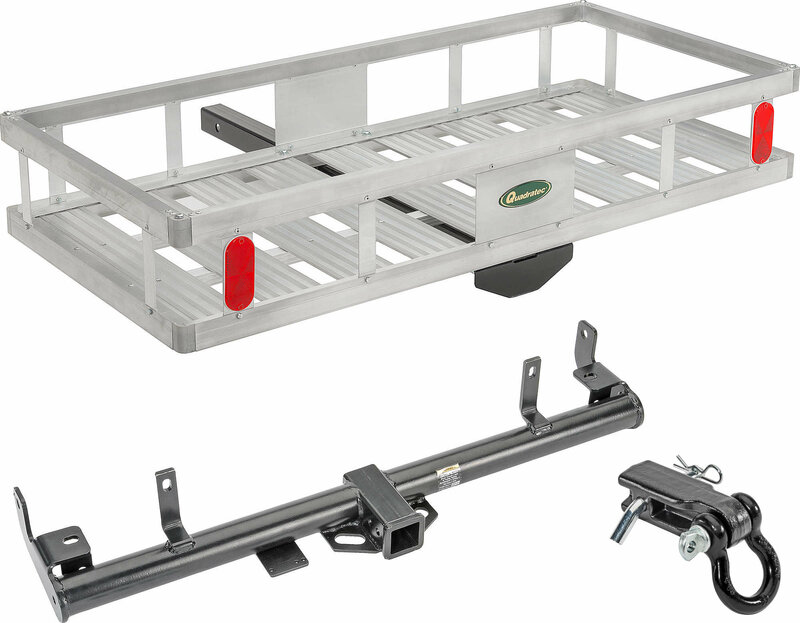 The Quadratec hitch will allow you to properly tow small watercraft, motorcycles, snowmobiles and utility trailers. Other features included a welded mounting tab for our 4 pin hitch wiring kit with simple plug-n-play installation (available separately). Thick welded carbon steel construction is e-coated (anti-corrosion treatment) and powder coated for lasting durability. Consult your owners manual for maximum vehicle towing capacity and recommended towing procedures. Limited 3 Year Warranty. As much as we love our Jeeps, the limited rear cargo space is sometimes inadequate. 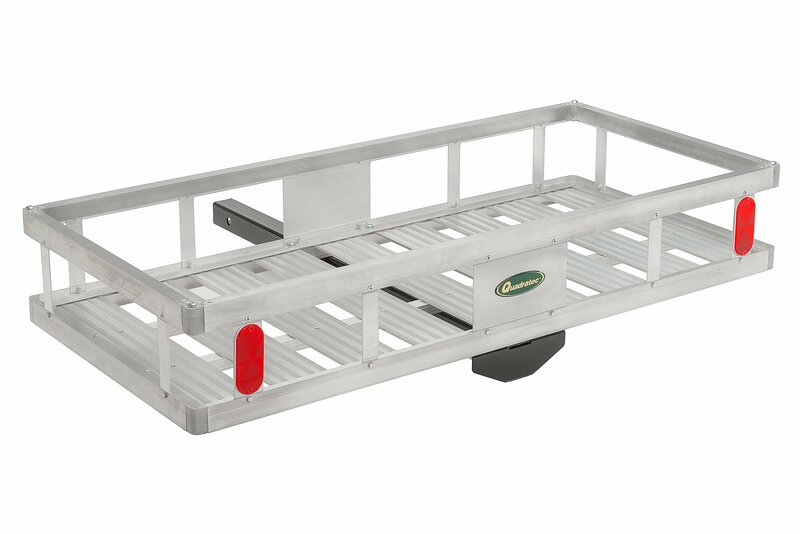 The Quadratec Lightweight Receiver Hitch Cargo Rack is an excellent solution. The simple convenience of adding additional payload when you need it makes these handy units indispensable. Weighing in at a mere 28 pounds this rack is lightweight yet rugged and fits into any 2 receiver hitch tube to provide instant storage for camping gear, luggage, hunting trophies, gardening materials, coolers and perhaps this years Christmas tree. Quadratecs receiver hitch cargo racks make easy hauling for nasty, dirty stuff like this weeks trash, greasy car parts, sacks of concrete and bags of mulch. All without making a mess of the inside of your vehicle. 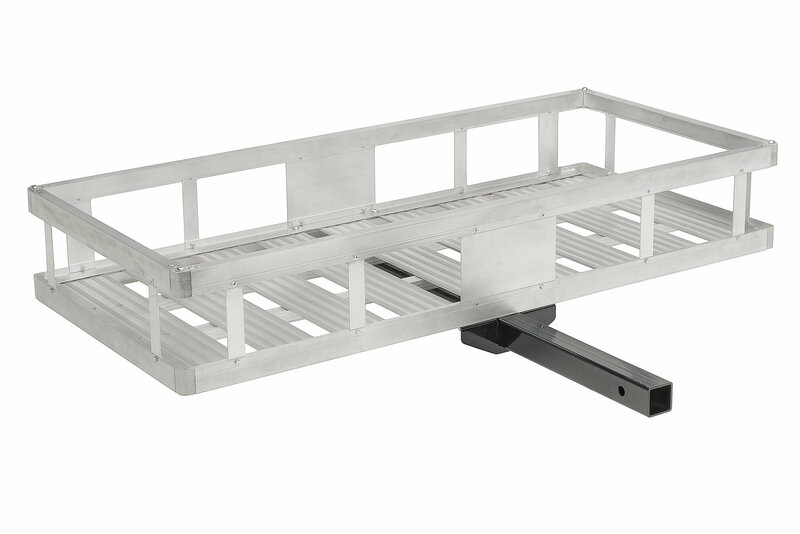 Our cargo racks are designed for a Class II receiver hitch and are rated to hold up to 300lbs cargo capacity but may be limited by a lesser vehicle or hitch capacity rating. 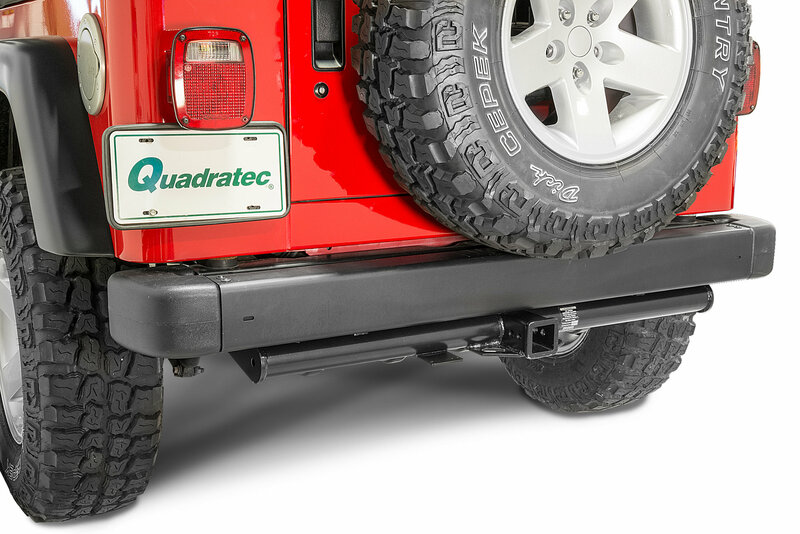 These are a great value for those needing a basic cargo rack that is optimized for Jeep applications. The Aluminum basket measures 49.5x22.5 floor with 8 tall sides.